When you visit Kagetsu ryokan, you will be warmly greeted by our Okami-san and bi-lingual staff and experience the personal warmth of Japanese service as a welcome member of our family of guests. 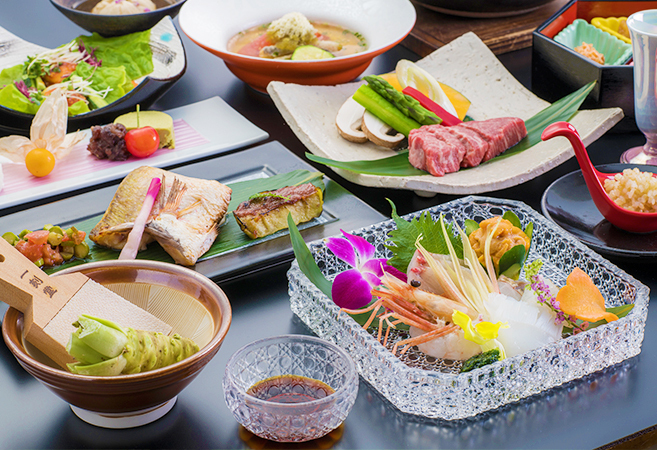 While relaxing at our ryokan you will be served delicious Japanese cuisine, prepared with fresh ingredients from the local community in Niigata. 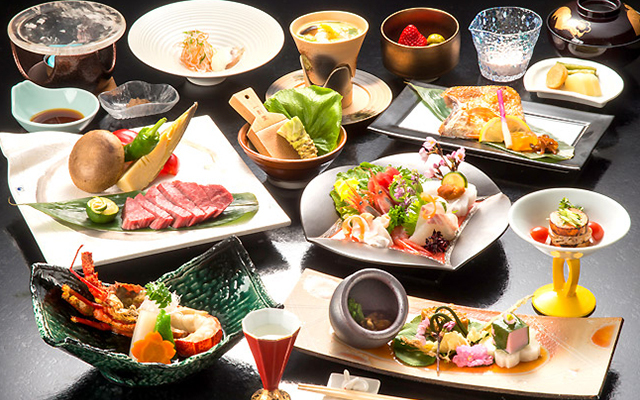 In addition, Niigata is well known for its sake and we serve a variety of delicious sakes from local sake breweries. 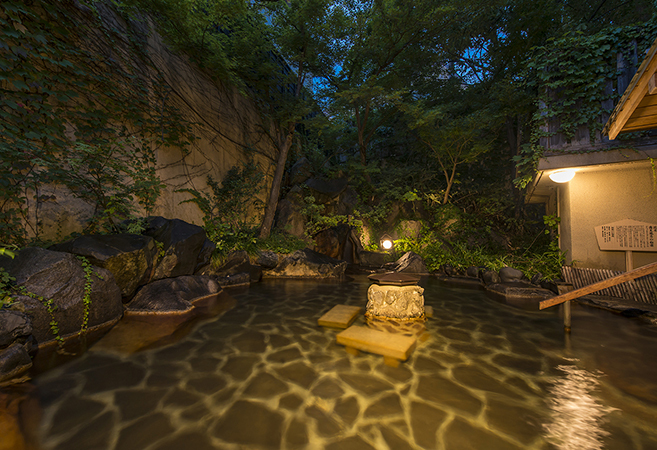 Guests can enjoy our indoor/outdoor onsen all throughout the year. 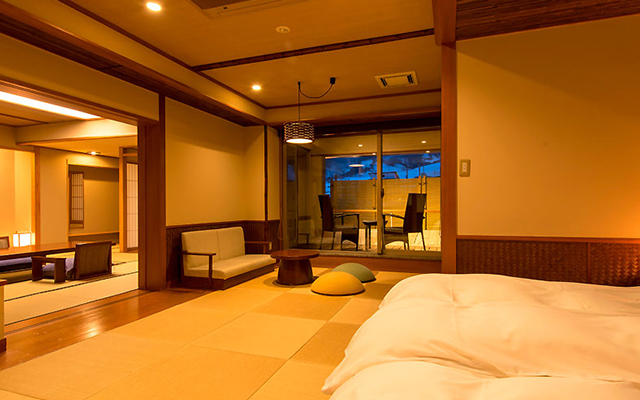 Our deluxe rooms have in-room onsens to provide a relaxing hot bath and onsen experience in the privacy of your own room. 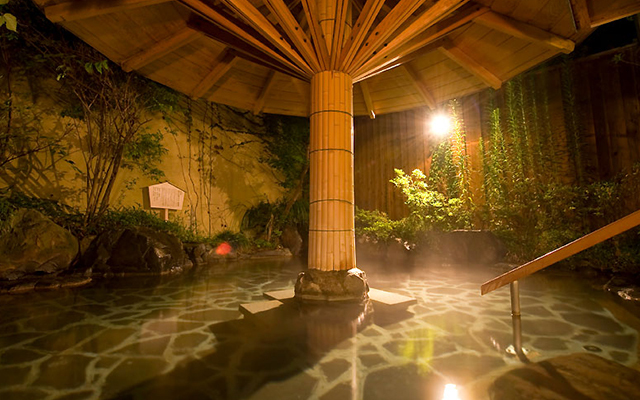 During the winter and ski seasons, guests have access to famous ski resorts all within a ten-to-twenty minute ride from Kagetsu ryokan. Guest Rooms Two types of guest rooms include spacious Japanese-style rooms and Japanese-Western style rooms with an open-air bath. Cuisine Pure traditional Japanese course meals prepared using a rich variety of ingredients unique to Niigata. 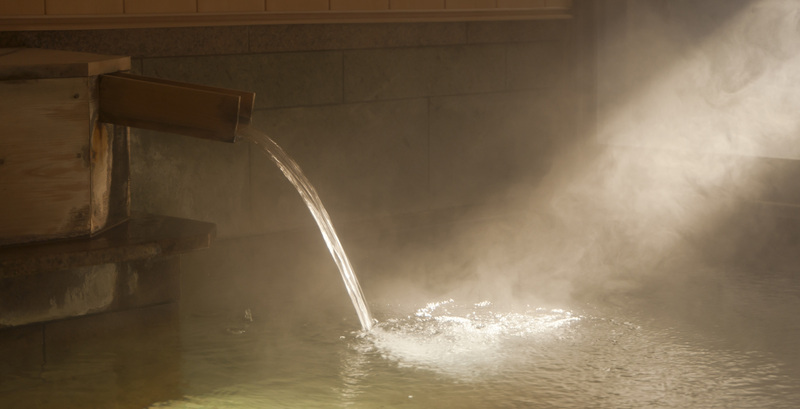 Hot Springs We urge you to experience high-efficacy hot springs with free-flowing water from Echigo Yuzawa Hot Springs. 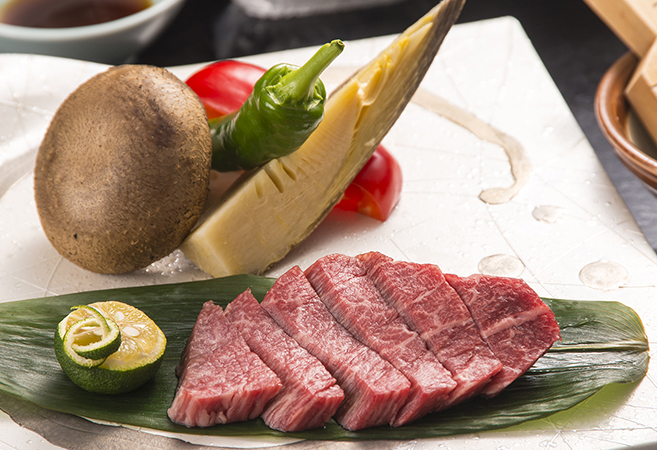 A meal plan with which you can enjoy to the fullest cuisine unique to Niigata, based on ingredients painstakingly selected by our chef. 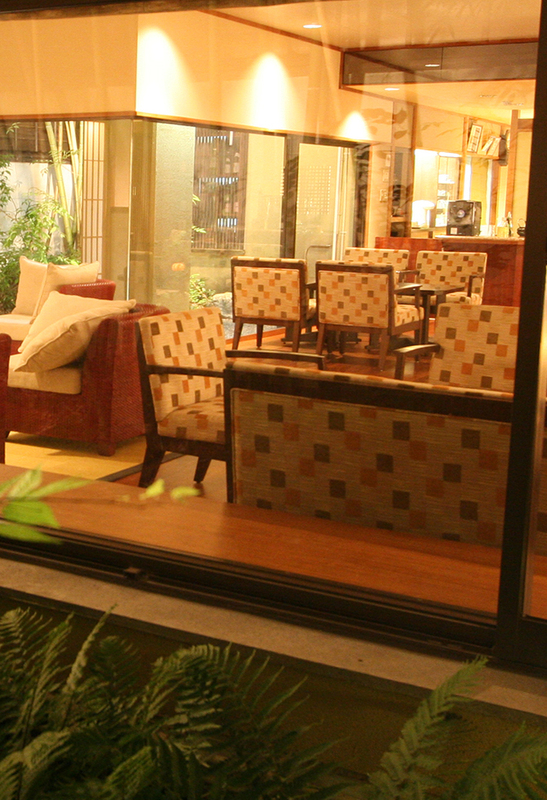 This is a money-saving plan which offers the same cuisine as when you reserve as usual. We recommend this if you are reserving at least 60 days in advance. The inn is approximately 90 min. from Tokyo Station and then a short 5-min. walk after getting off at Echigo Yuzawa Station.